The dermal roller falls into a special class of product known as a micro-needle roller. It is a hand held device meant for both at home and medical practitioner use. The device has 600 tiny needles built into the wheel that when rolled over the skin stimulate collagen and elastin which in turn promotes healthier skin cells. Take your skincare to the next level. Once you start you will not be sorry!! 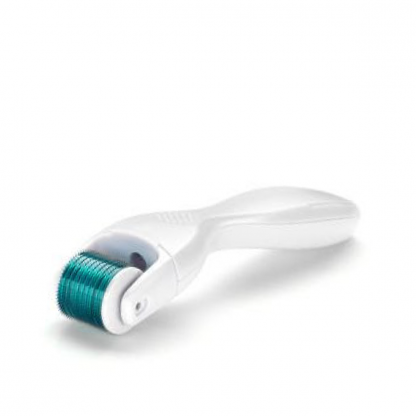 This gentle micro-exfoliating tool softens skin by removing dull, dead cells from the top layer of skin, giving it a smoother, plumper, and firmer appearance. 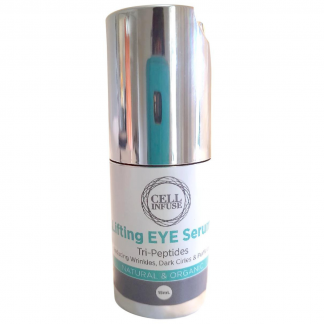 This makes it an ideal method for filling in fine lines and wrinkles, thickening and plumping the skin under the eyes, thus diminishing the appearance of dark circles and bags. With regular use of once per day, after the first 1- 2 weeks micro-needling helps minimize the appearance of fine lines, leaving you with luminous, healthy-looking skin. Safe for at-home use, our roller contains 0.5 mm needles to effectively boost your natural glow without causing injury to the skin. To achieve maximum results, the skin should be prepared and then assisted in this process. This can be achieved by the use of Collagen enhancing nutrients at the completion of each treatment.. These will also assist in promoting healing and soothing of the skin cells. The nutrient base of the CELL Infuse Primer is ideal for this purpose. The use of Retinol or abrasive ingredients should be avoided. Enclosed with your products you will receive instructions on how to prepare the roller for use. HOW DOES OUR DERMAL ROLLER WORK? 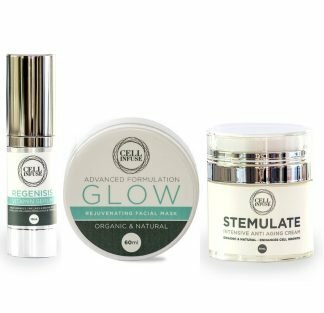 When rolled over the skin it creates what we call a micro-channel in your skin which triggers the body’s natural healing process to create brand new and healthy tissue to replace the imperfections or damage of older tireder skin. We are one of only 2 dermal rollers that can legally be sold in Australia as we are registered with the TGA. All other brands of derma roller are being sold illegally in Australia and do not go through the strict TGA guidelines that must adhered to every year. Gently roll the dermal roller over the area you wish to treat 3- 4 times vertically, 3-4 times horizontally, 3-4 times diagonally to the left and 3-4 diagonally to the right. Go gentle at first!!! Don’t use if you have rashes or pustular or nodular Rosacea. Only use weekly at first, also once finished apply Primer again to the skin then moisturizer DAYTIME or STEMULATE, and a spray of Anti-aging Spritz. 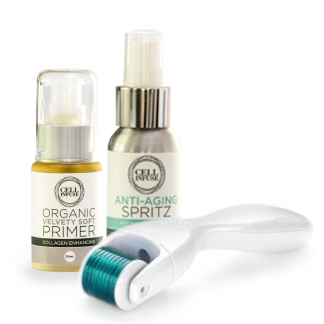 One of the main points of micro-needling at home is also to maximise the efficiency of your serums. 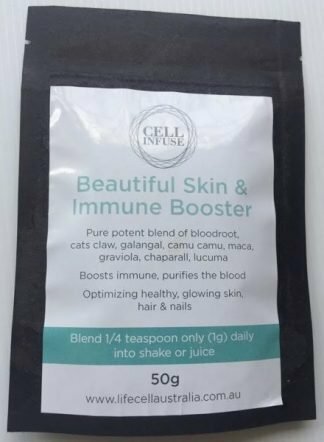 It’s really important to buy the right serum with the right active ingredients to get the most benefit and also cause no adverse reaction. That means embracing some ingredients and steering clear of others. Initially I like to go with our Velvety Soft Primer, why you ask?? With native extracts papaya and aloe, it is all soothing but stimulating to build collagen. Then choosing formulas that contain ingredients like hyaluronic acid, stem cells, peptides extracts etc. 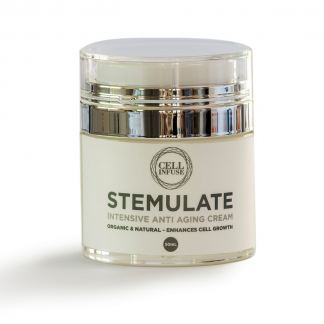 Hence DAYTIME, STEMULATE and Anti aging Spritz. I purchased the roller just over a month ago. I started using with CELL INFUSE Primer, after 3 weeks I added Regenisis Vitamin Serum, I truly am amazed at how my skin is glowing & looking healthy. I have had so much improvement in my fine lines and wrinkles particularly around my mouth since I commenced using the dermal roller. Approx 5 weeks ago. I started out with just the Primer prior and after rolling but as I added the Regenisis Vitamin Serum followed by STEMULATE. I have noticed pigmentation has faded along with my skin is glowing. Hoorah!